Whenever I happen across an abandoned building, I unfailingly find myself wondering what it was like when it was full of life. Had kids filled its rooms with their laughter? Or had it been the home of some big business; a place that delivered the daily bread to countless workers? When you start noticing such buildings, it is incredible what you come across. Huge houses with facades covered in marble that have lost their shine under layers of dust, no longer a symbol of the richness of the people who built it but a sign of their faltering bloodline. So too huge warehouses, where the rusting intricate designs on the wrought iron is a reminder that someone once believed that the river of money would never stop flowing through this place. Most of the time, it is fairly easy to determine what kind of building this was. Sometimes, however, it isn’t so easy and this is one of those cases. 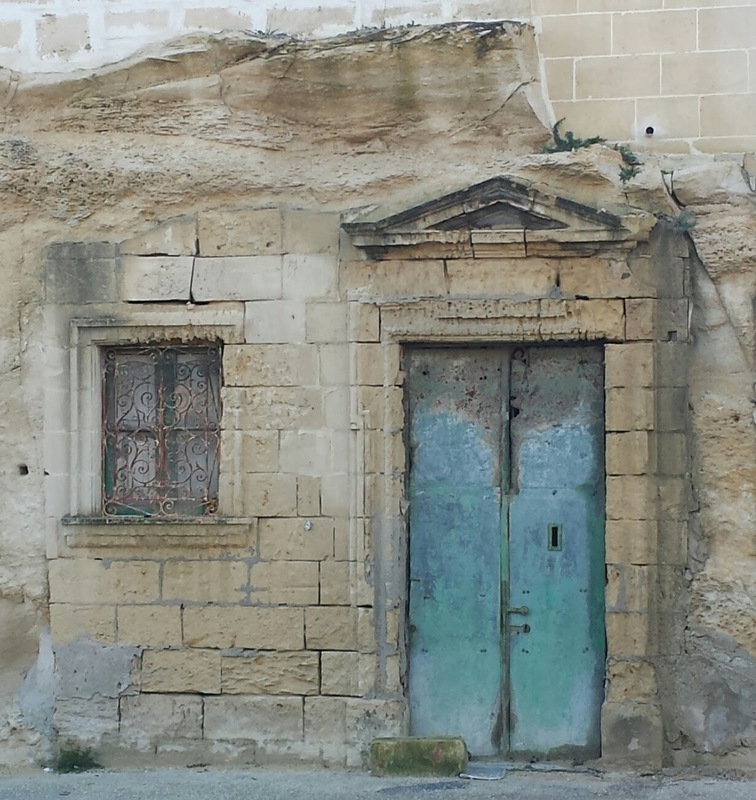 On my way to work, at the heart of Marsa, I go past this strange building. It seems to be built into rock and, being in a road where there are a number of warehouses, one would suppose that this was a store of some kind. Yet much greater care has been given to the look of this place than anywhere else in the same road, with a decorated door frame that indicates that this place had loftier ambitions than those of its neighbours. That past grandeur is slowly fading away. Rust is eating away at the iron door and whilst the limestone is flaking; slowly erasing the work done to decorate it. Even so, enough remains to ignite my curiosity. Was it, then, a humble store or was it something more than that? Sometimes, the stories that I read during my childhood start to tickle my imagination. Perhaps this is a path to some fantastical place; a door which has been given a weathered look by some form of magic hiding it thus in plain sight. All it needs is for the chosen ones to come looking and the magical veil will be lifted. Who knows what lies behind that rusting door? Most probably, I never will. And, in a strange way, it is better that way because it allows my imagination to break free and wander a bit when I pass by each morning. If you're intrigued and want to have a look for yourself, this building is found opposite the Marsa Parish Church, on Triq is-Salib.